The Content Marketing Institute research B2B Content Marketing revealed that 85% of marketers consider a higher quality, more efficient content marketing as being the first factor that contributed to their increased success. The aphorism “quality content is king” is by now universally known and in general lines corresponds to the reality. You cannot contest that content is one of the base pillars of marketing today. Virtually each marketer, writer or blogger wants engaging content, quality content, interesting content, useful content, viral content… But finally, what’s exactly an engaging/interesting/quality content? Which are the parameters that a piece of content should accomplish in order to be classified as such? Tough question! Because what’s interesting for you, for me might not be, what you call useful a tier might not. So, this is a subjective appreciation. It’s up to the target reader to judge it. Top performers have dug their way to find out what do that high-quality content marketing means for their audience and defined it. It’s a path each writer should follow. Each and every piece of your content should be audience centric, focused on its interests, problems, challenges or pleasure. It’s your job to define your audience, who you write for, who’s your buyer persona. Put yourself in your readers’ shoes and depict which are their needs, research or simply ask them. Validate your ideas with your audience, through a survey, social media or Quora. 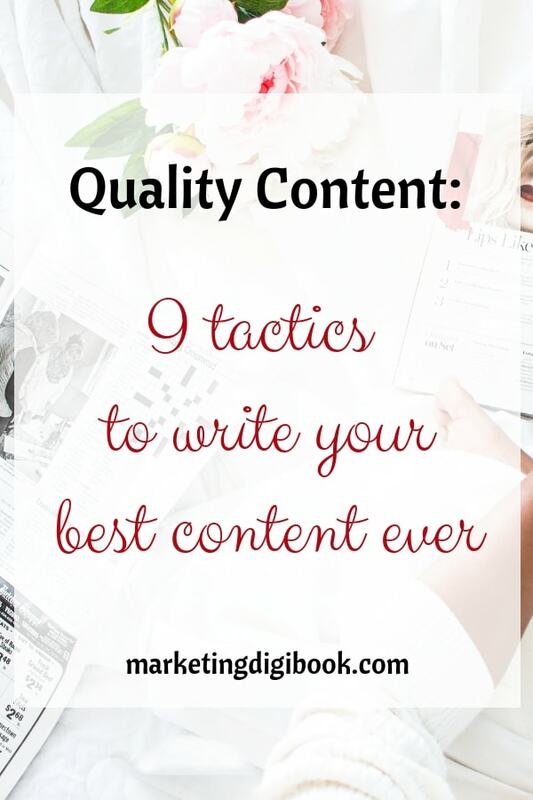 Quality content resonates with your readers and makes them read what you wrote and offers them something valuable to take away. Just give them what they want and need, when they need, in the form of advice, lists of clear steps, tips, insights. Personas help better understand who’s the reader, the customer and ease the task of tailoring and further personalize your message. 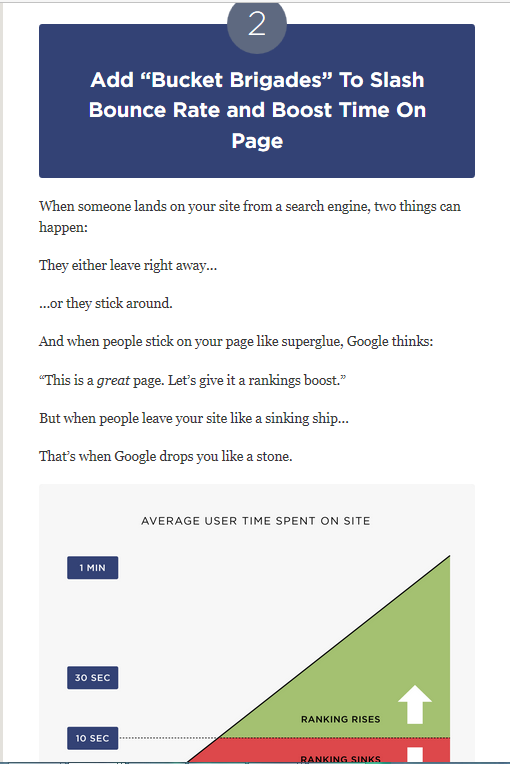 Write for a specific person, not for everyone, not for SEO. Readers/ buyers are real persons looking for answers, for solutions. Your personas should rely on real persons, on details found out during real in-depth interviews and researches. Mark W. Schaefer made a research and revealed that 90% of one company’s sales are the result of the action of three to four buyer personas. A longer content, in principle, brings extended value to the reader. Now the trend in Inbound Marketing is about to change from 1000 – 2000 words content to 3000 – 10000 words, but that’s mainly for ranking reasons. And, also, it seems that in general people are more likely to return and share long-form articles. Long-form articles are perceived as having higher authority and lead the reader from simple to complex in the same piece of content, fact that attracts more readers. Long-form articles are in general highly researched, well written and comprehensive, they cover integrally a topic and answer to all related questions that might arrive. That’s why long-form is considered as having higher quality, but longer form doesn’t mean filling words to hit a number. Write a long form article just when it is meaningful and adds value to the reader. For the moment the paradigm “the longer, the better” gains momentum! However, a balance should be found, otherwise we are going to find ourselves quite confused, and in a not so appealing situation of starting to read a piece of content this year and finish it the next. Since visual content equals more interesting, and thus shareable, the format of the content is becoming more and more important. Besides the substance of the content, its structure counts also. A readable design that uses bullet points, lists, images, charts or infographics makes a content much easier to consume. With such a huge quantity of content published every day, it’s not a surprise that most readers are in fact skimmers, reading about 20 - 28% of the content of a page. So, formatting is an absolute must to attract their attention and keep their interest alive. Large blocks of text are just about to become history. Each writer has its own style and voice, so, use yours, don’t try to mimic someone else, the original will always be better than the copy. Be authentic, be you, use your unicity and you’ll find your own audience, the one that enjoys your style. Or as Neil Gaiman stated “The one thing that you have that nobody else has is you. Your voice, your mind, your story, your vision.” This is the differentiation element that will make you stand out. If my style is academic and somewhat humorous, I will most probably never be able to write in a snappy sarcastic style and be authentic. Pretending or expecting from a writer to write on all tones, all voices and for all niches is an amateurish nonsense. Alicia Honeycutt considers the voice of a writer as being one of the “biggest secrets of professional writers”. A quality content is one that sounds natural, not like something forced. Writing in a conversational tone, similar to a conversation among friends is by far more engaging for your audience, than using an elevate, academic voice. So, write from your heart, write on their level. These days providing good content is not enough any more. In order to have high quality content you need to research and back up your content with data. Facts are important and people enjoy reading facts, thus including them in your content becomes a must. Don’t omit to offer credit to the sources that endorse the cited facts. High quality content implies gaining your audience’s trust and establishing a relationship. Gaining and building trust is not as easy as it might appear, but providing value inside your content and having data from valid, authoritative and recent sources helps achieve this goal. Do your homework and cite reliable sources that are reputed for publishing accurate information. This way your content will gain trust. Relating and sharing stories is an essential human activity, we all love good stories and there is no surprise that stories are engaging and delighting readers. Storytelling is the fundamental of just about everything in our world and the manner that we communicate, interact and live derives from it. Use stories to teach lessons in an entertaining way. Use your own experience and speak about problems you encountered to help your audience solve similar challenges. Speak about inspiring stories of leaders and inspirational persons. Tell stories about other persons achievements and success. As Bryan Eisenberg says: “Effective content marketing is about mastering the art of storytelling. Facts tell, but stories sell“. Most often great content equals with a great story. High quality content translates in traffic, engagement, sales and ROI. Numbers and metrics will give you the exact measure of your success, if your content has the desired quality. High quality content attracts the target audience and converts it into leads and sales. Track and measure the results your content brings with tools like Google Analytics, SimilarWeb, Open Web Analytics. Your audience judges the quality of your content and metrics are the real proof. It’s your job to permanently watch your metrics, measure your progress and modify your strategy accordingly, if the results are not as expected. Engagement, shares and likes are important but leads, sales and return on investment (ROI) are even more important. But content is a mix of art and science, partly can be measured as for example engagement, partly not exactly as for example style and aesthetic. Be helpful till the end and do the whole work for the audience, write a synthesis and formulate a conclusion for your content. Collect and provide supplementary resources concerning that subject for your audience. In our conception the above listed tactics combined generate high quality content marketing. What’s your opinion, what do you consider a high-quality content? What tactics would you add up to this list?